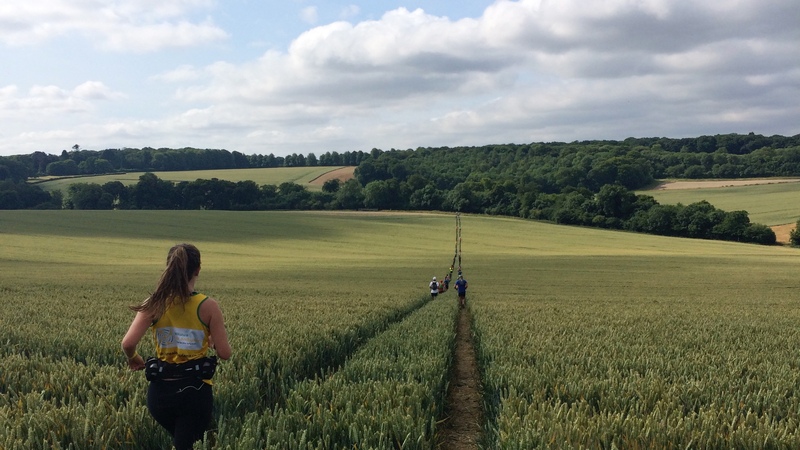 There are roughly 80 days until my body is greeted by the shock and awe that is the 100km Dixons Carphone Race to the Stones, along with the rest of team Wareable. As we've previously noted, we're partnering with Currys PC World to put the latest fitness tech through the ringer. And while you can get up to speed with the team and the challenge itself from our first diary entry, this week we'll be focusing on my training. Yes, my training — just what's going on with that? Well, there's been some positive strides, such as, well, joining a gym, but I've very quickly come to realise my cavalier attitude towards planning isn't going to cut it. Initially, the sheer numbers made me want to shy away from a rigid structure; I planned to just run as much as I could between now and the race in July. In the weeks since I opted for that line of action, though, things have changed. After toiling through 6-7 runs of between 5-10km, it's hit me that my general cardio fitness just isn't going to be good enough to get away with running a healthy chunk of this race. Sure, maybe I was naive and wildly optimistic, but there's still hope. Earlier this week I spoke to Steve Way, the British record holder for the fastest 100km, and discussed my plan for the event, how I was struggling through my runs and how I was essentially on the cusp of nightmares about all things races and, erm, stones. Sensibly, he advised me to cut out the running and mimic what I'll be doing over the weekend of the race — walking a lot at a reasonable, but still fairly low intensity. "You'll perhaps need to explore going out on a bike ride all day, without many picnic stops," he said. "It's low intensity, so your heart rate would be pretty similar to what you would be at if you were fast walking. Essentially, you just need to get your body used to being at that intensity for ridiculously long periods of time." So, after being pretty tunnel vision about just running, I'm now planning to open things up. That doesn't mean I'll be dropping the treadmill completely, as I still need to improve my general fitness, but it does mean I'm going to start including strength sessions on my legs, back and core and mixing in long distance hikes and bike rides, when given the chance. The strength sessions are probably the part of this I'm looking forward to the most. I'm more comfortable in a weights room than on the belt or pavement, and it also doesn't take much time to work through a session. And even though I'm starting from a higher base in this regard, I'll still be aiming to complete two of these sessions a week. This will not only strengthen the muscles I'll be using for eye-watering amounts of time, but also help hit areas that running doesn't. As for the long-distance exercise, well, that's going to be a little tougher. Obviously this can only really take place on weekends, so I'll be looking to the nearest hiking spots and looking to stay on my feet as long as possible. Hopefully I'll end up embracing some national parks, but, overall, I'm not confident in my ability to actually commit many full days. It's probably wise to mix up just what kind of running I'll be doing, too. Staring listlessly into the neon numbers of a treadmill is fun and all, but taking this outside for one long run a week is the aim as the weeks progress. I'm also going to look to mix in some interval training alongside this, hopefully bringing total sessions to around 4-5 a week. The Apple Watch Series 2 Nike+ isn't an elite device for the likes of hiking, but it does afford me an all-round option to dip into various kinds of aerobic action. Whether I want to run or cycle outside or in the gym, the Apple Watch can track this. It's then able to store and sync through the Activity app to give me a glanceable picture of my day. Maybe as the training goes on I'll crave more in-depth stats, but for now, looking at my active calories, time spent standing up and exercise minutes is good enough. So far, I've been happy to just get started and see some miles rack up. But after going through many runs on the treadmill, I've worked out that it isn't completely accurate at tracking the distance. For example, when running 10km on the treadmill last week, only around 8.5km was accounted for on the Watch. It's frustrating to look down and see the disparity, but also serves as motivation to progress to the outside world and take advantage of the strong in-built GPS for longer runs. Also involved in the next stage of my training will be the heart rate monitor, in order to keep a light tab on different zones. This will add some science to the training, and give me a better understanding of when to recover and when to push myself. The Apple Watch Series 2 Nike+ doesn't give me all the threshold information I'd want, but can give an average BPM and easily be paired with a chest strap so all the data ends up in one place. So, what have I learnt through the initial phase of training? Well, educating yourself doesn't hurt, but there's still an incredibly hard road ahead. I'm more confident after formulating a rough plan and spending some time with the Apple Watch Series 2 Nike+, but just how much progress I make over the next few weeks remains to be seen. In the likely event that we've inspired you to get fit for summer, Currys PC World have some great smart tech which will give you a boost just in time for the warmer weather. Here's how to choose the right fitness tech for you.